Our most popular residential option gives you the freedom to either enjoy the sun or shade, depending on the weather. 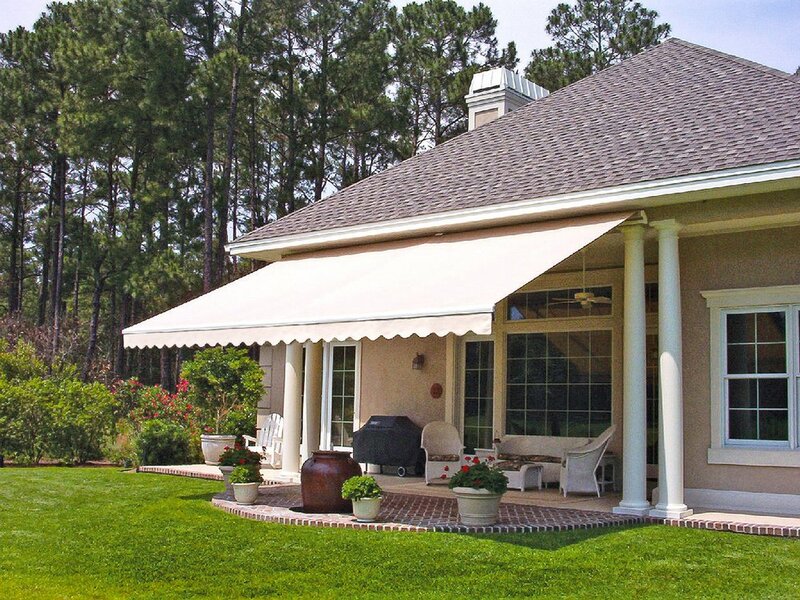 Unlike most other retractable awnings, our high quality construction provides the ability to withstand up to 60 mph winds depending on the size you prefer. Our commercial grade retractable awnings are a great solution for any restaurant with an outdoor patio that may need shade on hot summer days. With our easy-to-use retractable system, any team member should be able to open/close when needed.